Motoring show. Jeremy Clarkson and Richard Hammond are on location with the Sweeney movie as they take charge of shooting the film's climactic car chase. Jeremy Clarkson and Richard Hammond are on location with the Sweeney movie as they take charge of shooting the film's climactic car chase. Clarkson uses his expertise to choreograph the stunt driving whilst Hammond directs the movie's lead actors, Ray Winstone and Plan B, and organises an explosive finale. 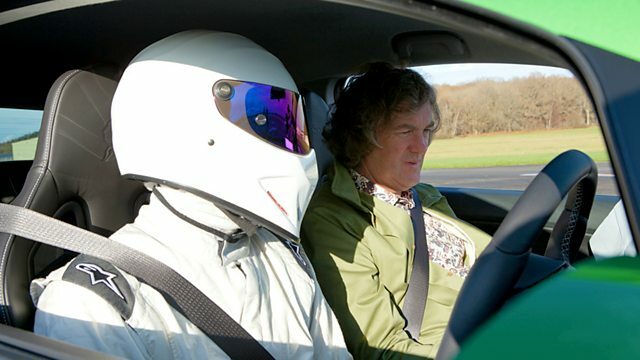 Back at the test track James May casts a suspicious eye over the new Vauxhall Corsa VXR Nurburgring and gives his verdict on the brand new Fiat Panda. Plus Hollywood actor Ryan Reynolds is the Star in a Reasonably Priced Car.